I wasn’t sure whether to write this column or not – but it is an important story and it should be told. Last week I attended a meeting in Norwich and learned for the first time about the outlawed and persecuted Falun Gong movement in China. So I looked into it some more and found out some very disturbing facts about which we all should be aware. What follows is what I understand to be the case. It has not been possible to obtain the view of the Chinese Embassy here because I did not want to risk the confidentiality and vulnerability of my sources of information. What is Falun Gong? The short answer is that Falun Gong is a spiritual practice based on truth, compassion, tolerance, and includes five sets of meditative exercises. In July 1999, the communist regime in China began persecuting people who practiced it – by which time its practitioners numbered about one hundred million. Falun Gong is quintessentially Chinese – an ancient self-improvement practice whose roots stem from China’s 5000-year-old cultural traditions. It combines the practices of meditation, special techniques of breathing and slow moving qigong exercises and emphasises morality and the cultivation of virtue through its central tenets of Truthfulness, Tolerance and Compassion. Through moral rectitude and the practice of meditation, practitioners of Falun Gong aspire to better mental and physical health and, ultimately, spiritual enlightenment. It was first introduced into China in 1992 by Li Hongzhi. The practice spread quickly by word of mouth, as people saw the lives of those around them changing for the better. Sickly grandmothers were transformed into the epitome of health. Couples nearing divorce saved their marriage. The impact extended beyond the immediate family circle. Policemen who learned Falun Gong would stop taking bribes and workers would stop stealing from their factories. Members of the Chinese Communist Party started taking it up. The party recognised that better health for the community would mean less drain on the state budget for medicine and health care. It was considered to have a stabilizing influence on society ( http://www.faluninfo.net/). So what went wrong? When Li Hongzhi gave his first public seminar in May 1992, he presented Falun Gong as part of a “centuries-old tradition of cultivation” but he suggested that the purpose of the practice should not primarily be physical health, nor the development of extraordinary powers, but rather it should be to purify one’s heart and attain spiritual salvation. Adherents of Falun Gong were encouraged to abandon negative thoughts, desires and behaviours such as greed, profit, lust, killing,violence, theft, deception, jealousy etc. They also refrained from drinking alcohol, smoking or drug taking, with the aim of refining the body into a higher form. The Chinese Government and the Communist Party took fright at the movement’s popularity and started to portray it as a religious sect or cult with “superstitious” views and saw it as a potential threat, outside of its control. One day in 1999, some 15,000 Falun Gong practitioners took part in a demonstration to complain about some press reports that were unfavourable to the movement. They quietly sat down on the pavement and surrounded a government compound called Zhongnanhai in the centre of Beijing, which housed the places of residence and work of the Chinese leadership. Premier Zhu Rongji agreed to see a delegation from the protestors and instructed three members of staff to hear their complaints more fully. By 9pm that evening, the protestors had quietly made their way home. They did not shout slogans, carry banners or give out leaflets.The protest had been peaceful and non violent throughout. It is reported that they even collected their litter before they left. Nevertheless, many of them were arrested in the following days and taken to labour camps to be‘re-educated’. This was because one Chinese high-ranking official and former head of the Communist Party, by the name of Jiang Zemin, felt that Premier Zhuhad dealt with the protestors too leniently and he initiated a programme of persecution. Jiang Zemin forced officials at all levels to participate in eradicating Falun Gong. Thousands of people were imprisoned and tortured for their belief and continue to be so to this day. A special government department called the “610 office” was set up to oversee and co-ordinate the persecution. Using the media and internet, the 610 office organised a propaganda campaign against a “heritical organisation” and the rhetoric in the state-run press escalated to include charges that Falun Gong was colluding with foreign,"anti-China" forces – no doubt helped by the fact that the Falun Gong founder, Li Hongzhi, in 1997 applied for asylum in New York and left China for good. In the years since the suppression campaign began, the Falun Gong adherents have emerged as a prominent voice in the Chinese dissident community, advocating greater human rights and an end to the Communist Party rule. So it seems that the Chinese Government’s bizarre over-reaction brought about the one thing they feared most – political dissent on a large scale. But, there is an even darker side to this story – and it concerns the harvesting of human organs for use in transplants. Organ transplanting in China is a booming trade. The numbers of organ transplants performed in China – and the speed at which organs become available – has raised international concern about the source of organs. The Chinese Communist Party admits that organs are harvested from executed prisoners – but insist that they have given their consent. The practice is now so widespread and streamlined that enquirers are promised a transplant within one or two weeks –as opposed to the many months and even years that it takes in Western countries. To be able to do this, they have to have access to a huge stock of living organ “donors”. There is mounting evidence that thousands of Falun Gong practitioners have been killed for their organs, which are sold and transplanted at enormous profit. The perpetrators are officials of the Chinese Communist Party acting in collaboration with surgeons, prison authorities and military officials. The recipients are predominantly those travelling internationally for health care. Strong circumstantial evidence points to adherents of Falun Gong being arrested in their tens of thousands in order to correct their way of thinking. When they are arrested they are given blood tests, ultra scans, and extensive medical tests – the results of which are recorded on a data base. This testing is not to their benefit as most are subsequently tortured for their belief – but blood matching is critical to organ donation. These innocent victims are being held without trial in labour camps until their blood happens to match that of a prospective organ transplant recipient. The Falun Gong prisoner is then taken away and his organs are removed while he/she is still alive. Their bodies are quickly cremated to cover up the traces of organ removal. If you think that the horrific situation in China could never happen here, I would like to mention a small article that I found at the bottom of page 16 in The Guardian on Saturday 28th July 2012. It said that the: “NHS moots a shake-up of organ transplant rules” and went on to say that the NHS is considering prolonging the lives of people who have no chance of surviving in order to harvest their organs. They are also thinking of making people opt out rather than in to the donor register– meaning that they would presume consent to organ removal unless people have actively opted out. It seems that the Welsh assembly has formally adopted this possibility. One sentence sent a shiver up my spine. It talked about “New financial rewards for intensive care units for every organ they provide”. This conjured up a vision of market-driven competition between hospitals to reach targets for the number of organs harvested. Ethically, we could be standing on the tip of a very slippery slope. The subject needs much debate and openness. We may not start persecuting Falun Gong in the UK, but the public needs to be constantly vigilant where the question of medical ethics is concerned. And of course, there is the other ethical question about using transplants to prolong life, when there are already too many of us on this planet – but that is a column for another day! The flags hang limply in the rain down the High Street. No one has removed them after the Jubilee, as this summer it appears the populace are in a continual celebration of the Kingdom. Last week the Olympic Games and its £27 million opening gambit were heralded by torch-bearers running through the town. As I write the sound system at Latitude booms in the air from several miles away, and everyone has been locked into the site due to the weather. But my attention is not in these places. I'm watching the rain. The shop keepers are watching the rain, as the holiday makers stay away from the beach and their tills. The farmers are watching the rain as it soaks the corn and the potatoes. The trees are empty of fruit down the lane, the grasses high as houses. There are slugs everywhere, devouring produce in the fields and gardens (£8 million's worth) like an apocalyptic curse. We don't have sun, but we do have water. In other places it is the opposite. At what point do we wake up and put our attention to where it really matters? At what point do we look at the corporate shaping of the Games, its private armies, its eviction of peoples, the lockdown of the city, and come to our own conclusions? At what point do we stop worshipping the rulers and behaving like grateful servants, and start to recognise our own beauty and significance? At what point do we stop distrusting and being hostile to our neighbours and our countrymen, and stand by each other, side by side? At what point do we stop believing in the magic spell of money and privilege and realise that the plants we depend on need both light and water? At what point do we realise that everything in our "civilised " world - our energy, our food, our life - comes directly from the planet? And when we do, when we connect the dots, what are we going to do about it? 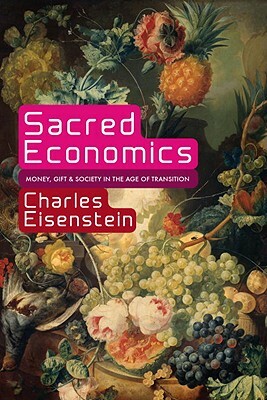 Charles Eisenstein, author of Sacred Economics, who is speaking next week in London, says we have a task ahead of us: to transform the damage that has been done by industrialisation and reclaim the land, as well as our true sovereignty, the commonwealth of the people. From an old paradigm, standing in the High Street, disconnected, it seems impossible, but from another perspective, standing on the earth, looking at the future, it looks like the possibility of starting again. History depends on our attention. Where we place our attention confers value and significance. That's quantum physics and human nature. Attention can keep the flags flying and the illusion of supremacy going, it can hold people on pedestals up as small gods. Or it can focus on the real facts of the matter and see climate change happening in the backyard. Distracted by entertainments, you can't see what is happening in front of your eyes. You don't notice the weather. 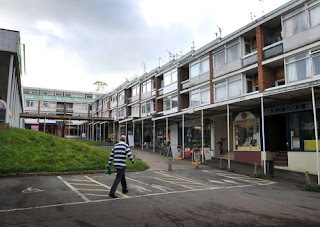 You don't see the London allotments torn down to make a hockey stadium, the people displaced in Guatemala for EU biofuels, you don't see the treatment of the cows, or the dairy farmers, when you buy your cheap milk, you don't see the scam of the banks who have created 97% of our money supply out of thin air. 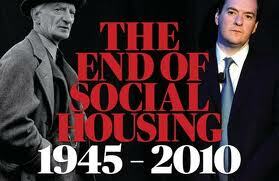 The nationalistic parades and the media that trumpet them are the circus that keeps an old story in place. The Athenian civilisation that bequeathed us the idealistic sporting arena, also gave us a skewed "left hemisphere" way of seeing and a "democracy" that works for the rulers, rather than for the ruled. It has made the culture of the City superior to all lifeforms on earth, a legacy we have inherited and still uphold to this day. But this cultural story, with its fairytale shows and bloody arenas, is not the only narrative that is going on right now. It has never been the only narrative going on. People have been holding a torch inside them for hundreds of years in the mountains and the fields, as civilisations have risen and fallen, as they have sent their armies to conquer the world for resources and slave labour. At some point the people start watching the rain and realise there is another task at hand. 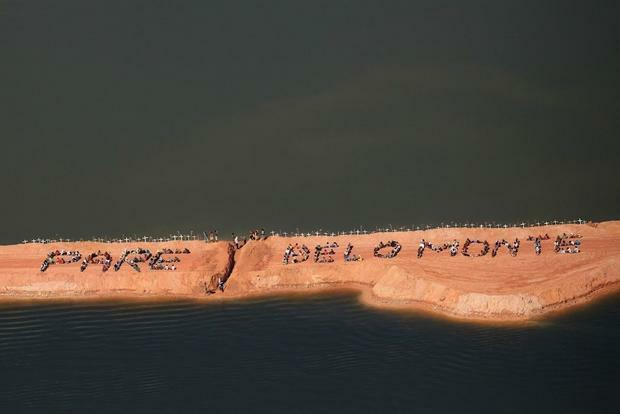 For the planet and for ourselves. When you do, you discover you are not alone. There are millions of us out there. Some of us saying one thing, but thinking and feeling another. Some of us are finding our voices and speaking out. Some of us are listening, turning out attention away from the parade. We're not just in the town, or the city, we are in all lands. The empire dominates, as it has done though history: it crushes protests, wins arguments, forces people off the land, ignores the heart. But one thing it has no power over: it cannot force our attention. It can't buy love. And it can't stop the rain from falling. Images: cover of Sacred Economics; protest in the Amazon against the Belo Monte dam. Some people get very exercised over “freedom of the press” and hold it up as one of the most important elements of our democracy. Much evidence exists to prove that our press and our media generally are far from being independent and free from bias. Some of the one-sided coverage of the situation in Syria is one example. How often do we hear of atrocities carried out by government forces with no mention of the death and destruction wrought by the armed opposition? We are never really told if the so-called “friends of Syria” (the foreign governments providing arms and training) want to sustain a people’s revolution or merely to effect a regime change to suit their own agendas. However, I have an example that is much nearer to home. It comes from our beautiful Lake District. There is strong evidence of on-going collusion between government and the press to present to the public a biased view of the proposed storage of radioactive nuclear waste in the Lake District. In contrast, Radiation Free Lakeland sent press releases to the national press about the Cumbria Parish and Town Councils’ opposition to a nuclear dump but nothing of that has ever made it into print. The Sunday Times on 13thMay announced quite cheerily that “Britain may have found a final dumping ground for its vast stockpile of nuclear waste: deep under the Lake District. The dump, underneath farmland in west Cumbria, would become a graveyard for thousands of tons of spent nuclear fuel and other highly radioactive waste built up by the nuclear industry since the 1940s.” This was jumping the gun in an irresponsible way when no such decision had been reached. The Sunday Times further insinuated that the Cumbrian councils had been swayed by “tens of millions of pounds in planning sweetners” and were prepared to support the idea of a dump – provided the incentives were right. This is the sort of malicious reporting that the Murdoch press often to indulges in. But the future of the Lake District is at stake here and the issues deserve to be reported honestly. There are many fingers in this murky pie. The partnership between the PR companies and Managing Radioactive Wastes Safely (MRWS) is at the heart of discussions. Their aim is to persuade Cumbrians and the rest of us that it will be safe to store highly radioactive waste underground in the Lake District and that there will be no environmental repercussions. Here’s how they plan to do that: in September 2011, two consultancies, Sedley Place and The Communications Group, were appointed by MRWS to carry out a study on whether the Cumbria and Lake District “brand name” would suffer from negative perceptions if the county were to take part in the Government’s search for a suitable underground repository for higher-activity radioactive waste. 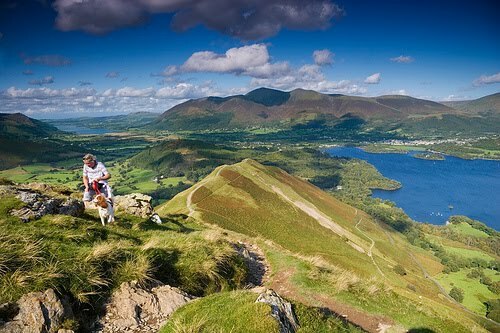 Cumbria and the Lake District have strong “brands” which benefit the tourism and food industries, as well as other sectors that trade off the area’s reputation. The study looked at the area as a tourism destination, as a place to live and work, a place to study and learn as well as a place to invest. The study found that Cumbria had a distinctive and valuable “brand” and that there was a potential risk to this brand if any of these categories believed the brand had become tainted or contaminated. It set out ways in which the damage to the brand could be limited, managed and avoided and recommended putting in place a “phased communications campaign” using a variety of different communication methods. Richard Greenwood, head of policy and researchat Cumbria Tourism was pleased that the study outlined ways to deal with any risk to how the county could be perceived and noted that it would “help direct the thinking of the Partnership” – which suggested to me the willing acceptance of a positive spin being placed on each and every pronouncement to do with the geological disposal of nuclear waste in Cumbria. How would we feel if the government was planning to bury nuclear waste under the Broads. Those of us who know and love the Broads would not be very impressed if Broadland District Council appointed a consultancy to spin the advantages and minimise the dangers, in their search for the best spot. That is what is happening in Cumbria. So much for a free and independent press. I will end on an ironic note. There is already nuclear waste stored in Cumbria. It is stored above ground at Sellafield. Sellafield used to be called Windscale until there was a disastrous fire there in October 1957. It was the worst nuclear accident in Great Britain’s history. A nuclear reactor designed to produce plutonium for the UK’s nuclear weapons wasn’t making it as quickly as the government wished, so modifications were made beyond the reactor’s original design plan, which led to catastrophic overheating and substantial releases of radioactive contamination. 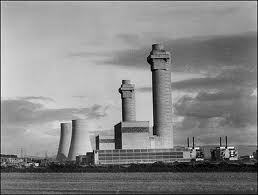 However, in order that the nuclear disaster of Windscale should not give a negative perception to the “brand” of Cumbria and drive away the tourists and businesses, the name of the site was changed to Sellafield. No body mentions Windscale today. Windscale was rated at 5 on the INES scale,compared with Fukushima’s 7, but how many people know that, thanks to the PR consultancies. Plus ca change . . . . .